1. I started knitting in August. 2. I decided all the adults would get a neck warmer-scarf or cowl. 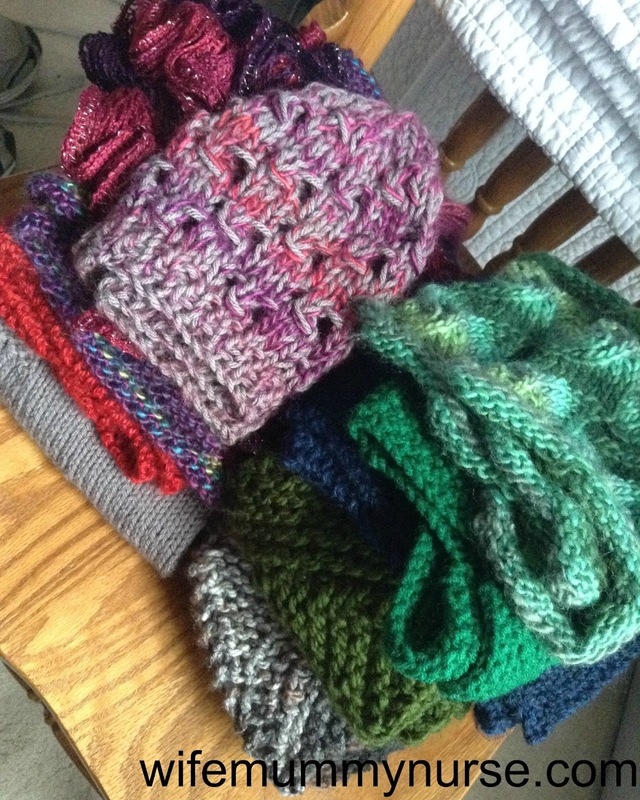 This has been the only year where I completed all hand knit gifts for my family (with the exception of my SIL's husband). 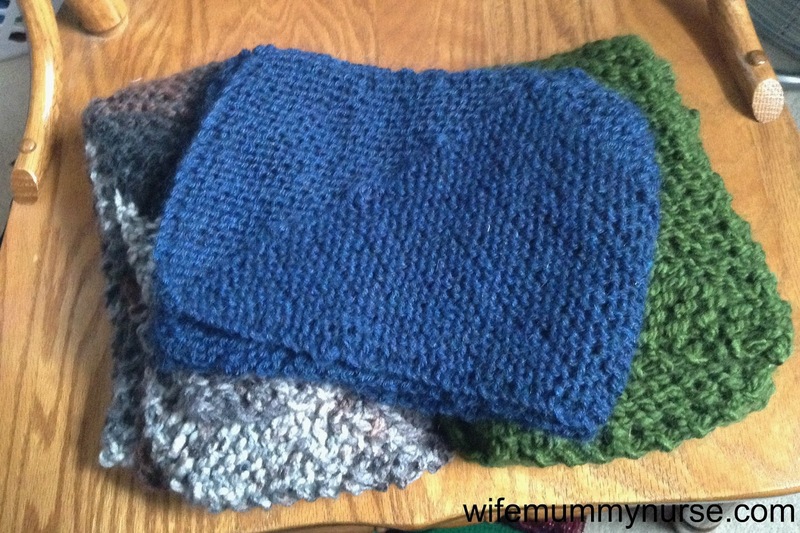 I knit four multidirectional diagonal scarves (only three are pictured). My son pulled my coffee down on my BIL's scarf, so it was in the washing machine when I took pictures. 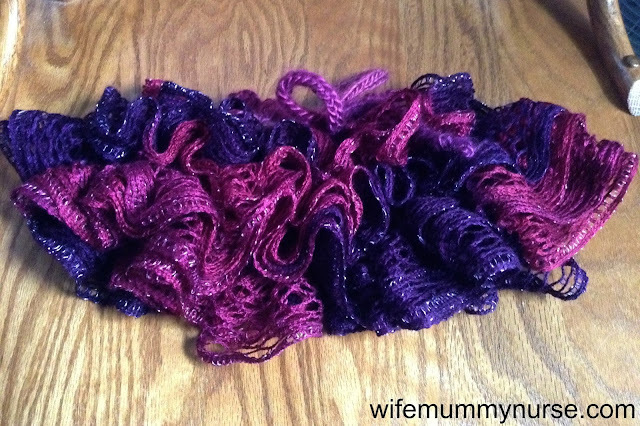 The multidirectional diagonal scarf is so easy, and is perfect for a beginner who wants to expand their knitting skills. It's knit in garter stitch, with short rows. My FIL's scarf and my brother's is knit with Loops and threads charisma yarn (which I bought at Michaels). My sister's husband's scarf was knit with Red Heart Super Saver. I knit two items from Knit Celebrity Baby Fashion (go enter my giveaway here for a copy of your own). 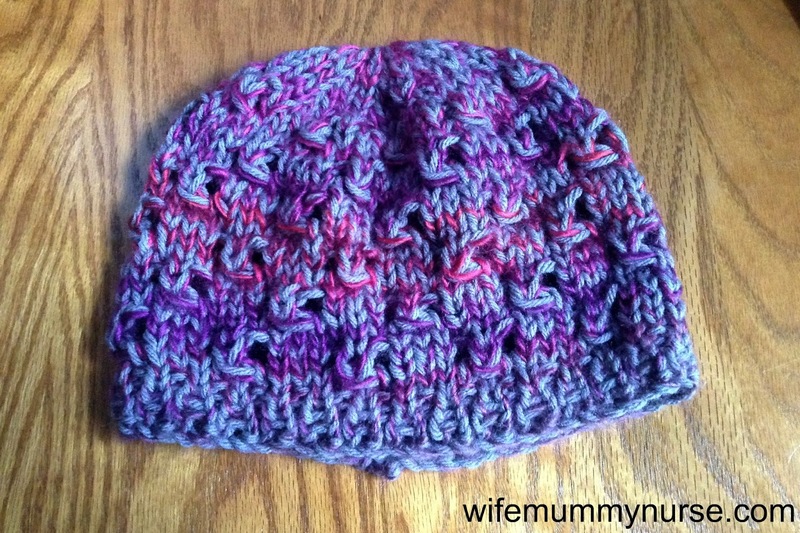 I knit the hat with flower for my niece. I held Big Twist Yarns Value and Red Heart Boutique Unforgettable yarn doubled. For my other niece, I knit the poncho/skirt. Knit with Red Heart Boutique Unforgettable and Red Heart Sashay Metallic. 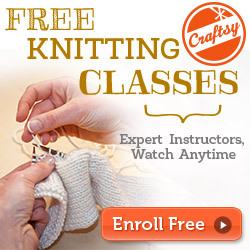 Did you knit Christmas gifts? If so, what did you knit? More pictures and projects will come later. 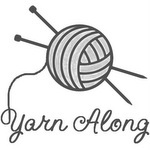 I'm linking up at Ginny's Yarn Along. Such pretty gifts.. Your family must have been so pleased with all the time and love that went into making these.